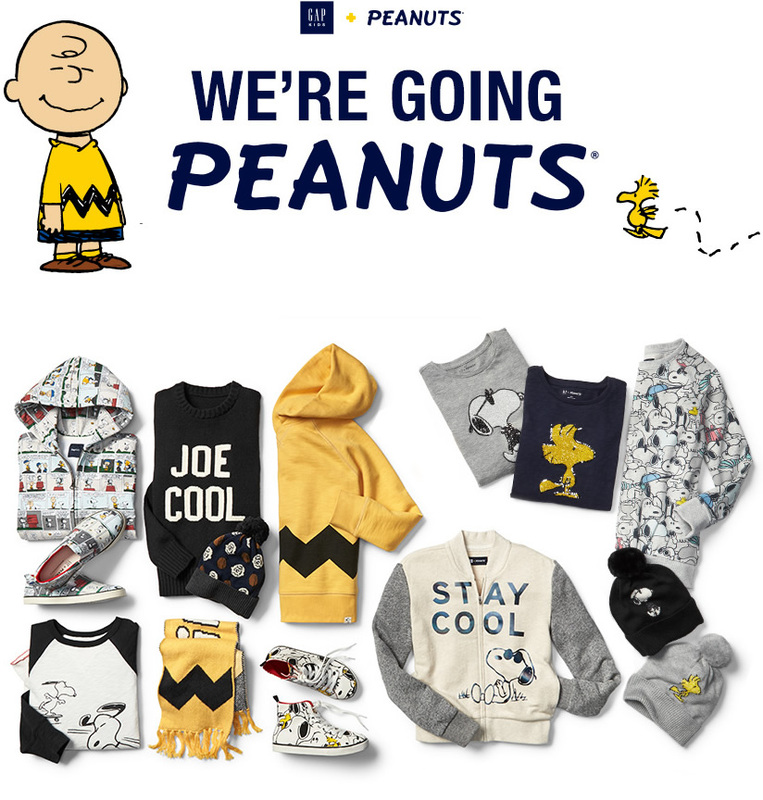 In honour of Charlie Brown’s and Snoopy’s 50th anniversary, Gap Kids and Baby Gap have collaborated with Peanuts in an exclusive capsule collection of clothing, shoes and accessories for the forthcoming Peanuts Movie. 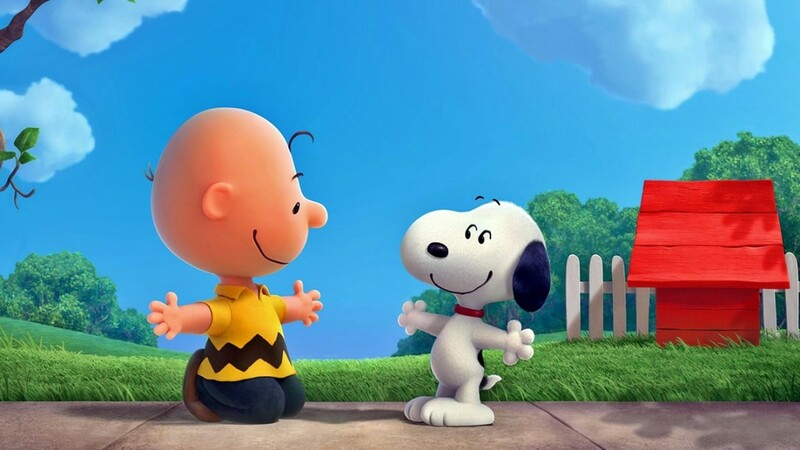 Charlie Brown and Snoopy are both iconic cartoon chartacters that we all grew up with. 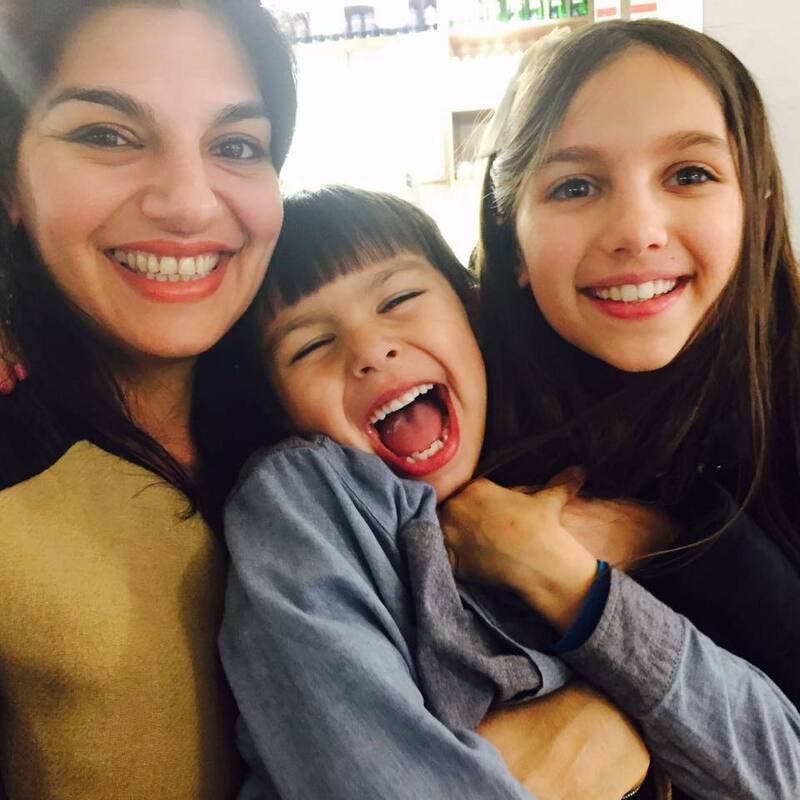 This collection is a perfect way to introduce your children to our childhood heroes. 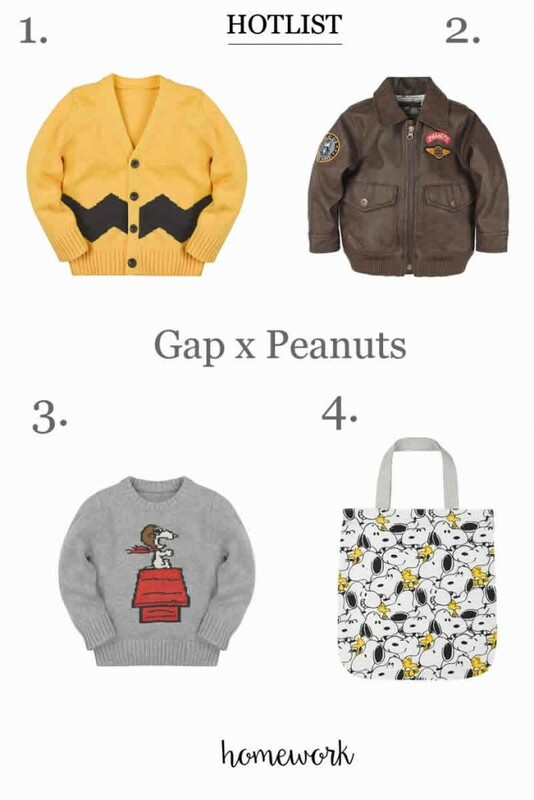 The Gap collection launches in-stores worldwide now and will make perfect festive gifts this Christmas to a legion of old and new fans. Here are a few of my favourite pieces from the collection. I predict a sell-out! Up until as recently as the 1900s, the colour pink wasn’t always considered a feminine colour and was widely used as the colour of choice for dressing boys. No longer just for little girls, now it’s time to rethink pink. 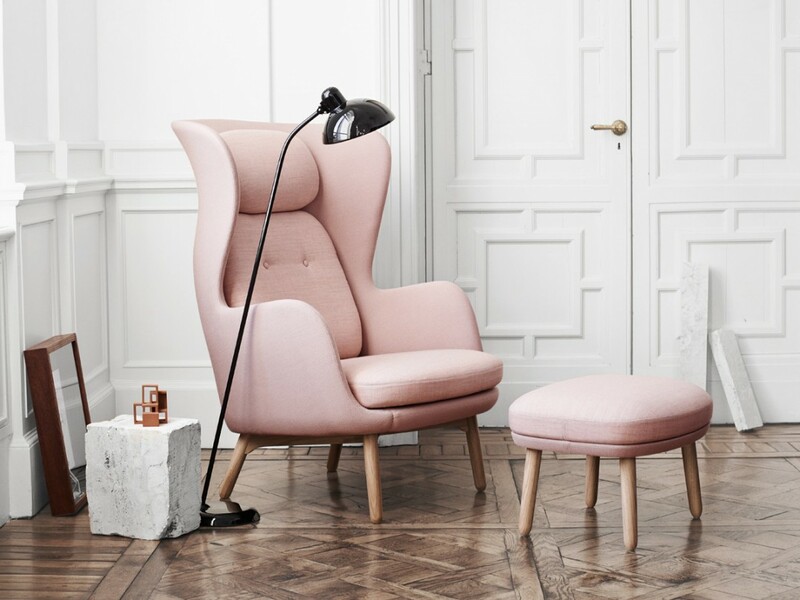 The pink interiors trend has been making a return to our homes this season. With different shades through the specturm from soft pastels and sugar-coated almond colours to bubblegum and the more vibrantly coloured raspberry pinks, this colour trend shows no signs of abating. One of the main reasons is because of our love of the colour grey – the new neutral that our homes are all decorated with. All shades of the pink hue work surprisingly well paired with light and dark greys. 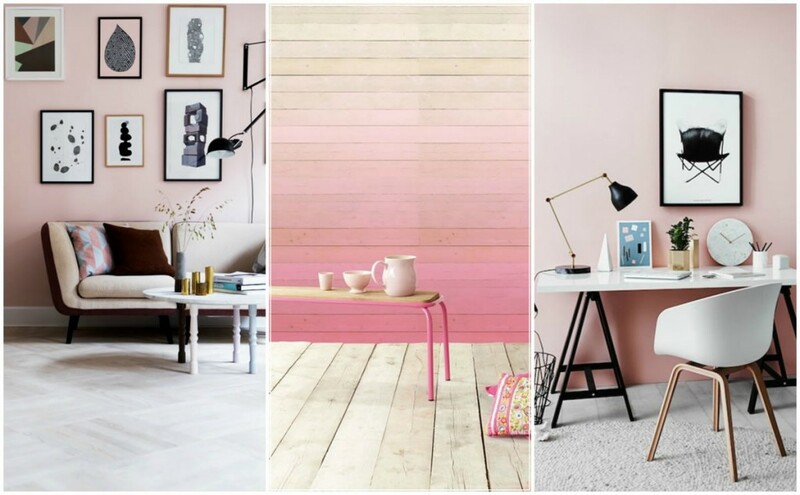 The trick with pink is to add accents in the home via accessories, soft furnishings, bed linen, statement furniture pieces, a wallpapered feature wall like the middle picture above or simply layer similar colours together to achieve a tonal effect. 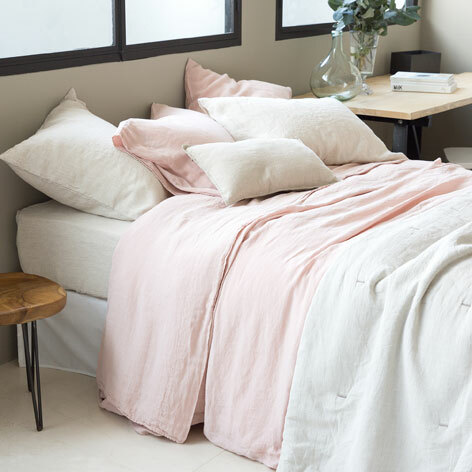 I’ve just managed to get my hands on the Zara Home pink linen bedding set below which is a beautiful shade of sugar pink and complements well with Farrow & Ball Dove Tale. It keeps selling out so keep checking here to see if back in stock. 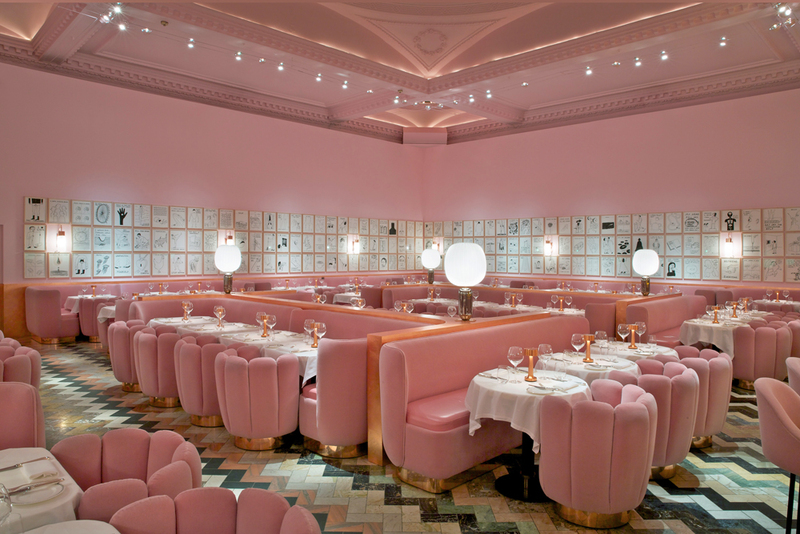 I couldn’t write about the trend for pink interiors without being inspired by London restaurant, Sketch’s pink gallery by India Mahdavi. I simply love the shade of this interior and without doubt, it deserves its place as one of the most Instagrammed restaurants ever. 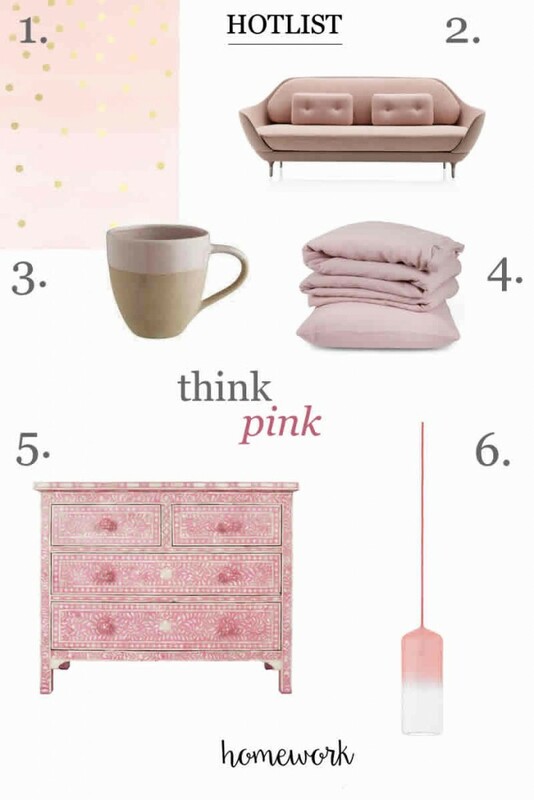 These shades of pink are slightly different to the copper trend I previously wrote about but the blush colour complements well with so many tones without being overly girly. Without further ado, I give you homework’s hotlist of the best pink homeware pieces from high street through to designer.